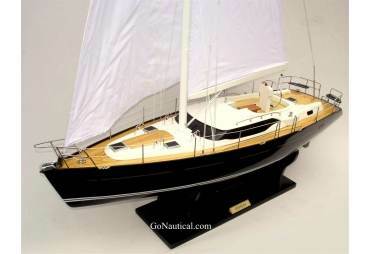 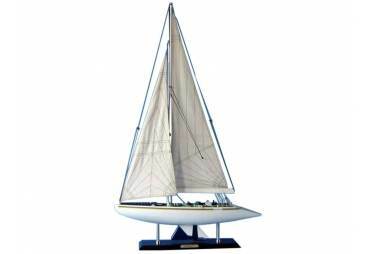 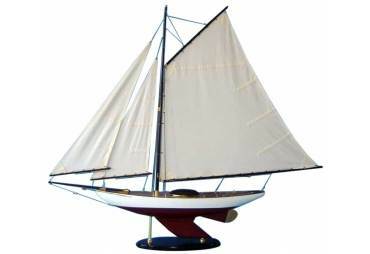 Lovely sailboat, looks great in dinning room. 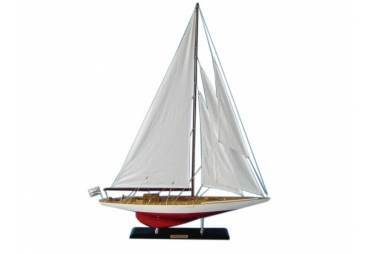 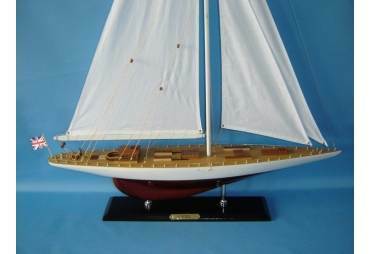 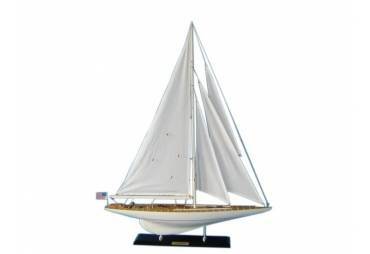 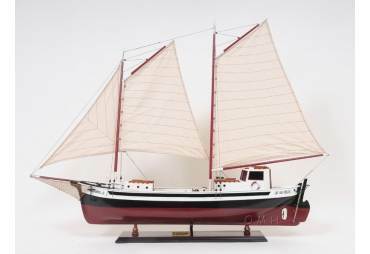 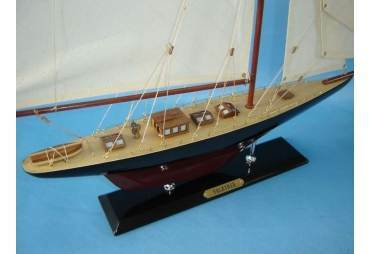 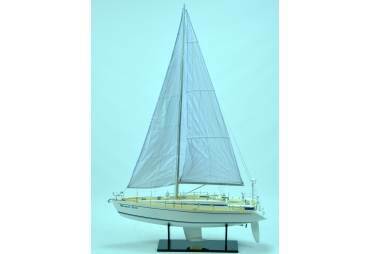 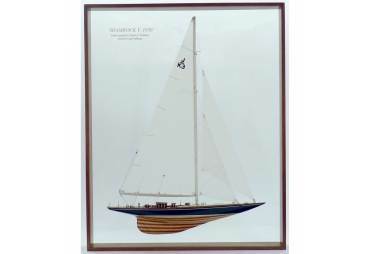 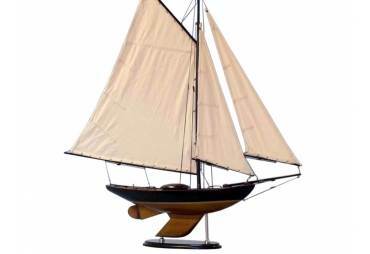 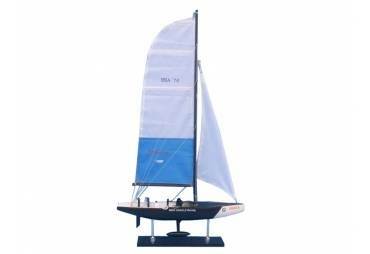 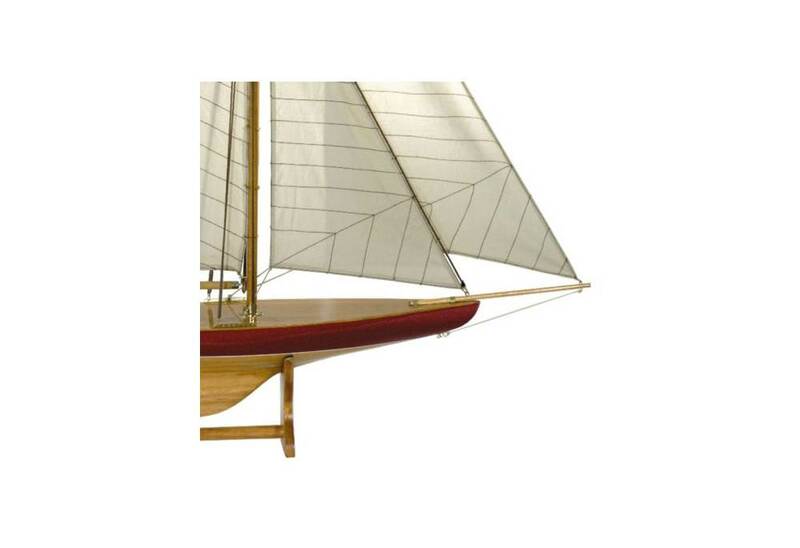 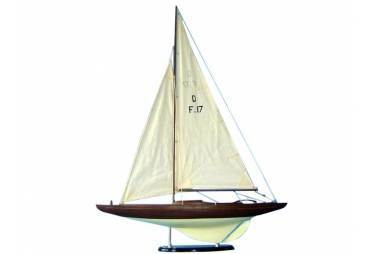 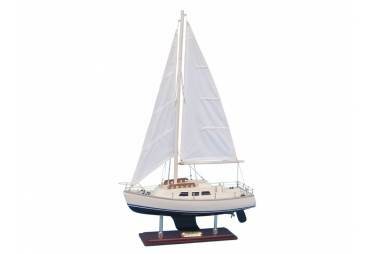 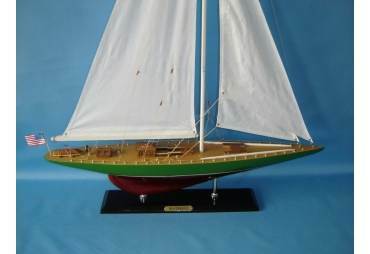 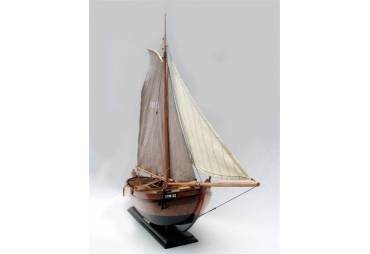 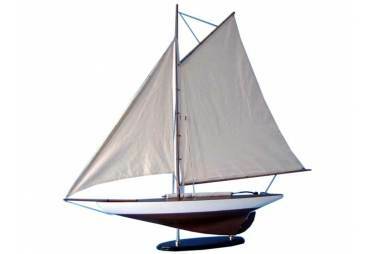 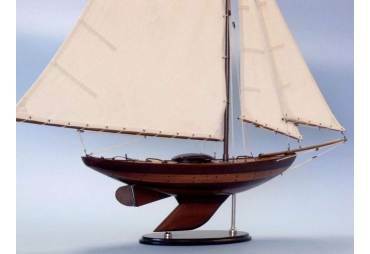 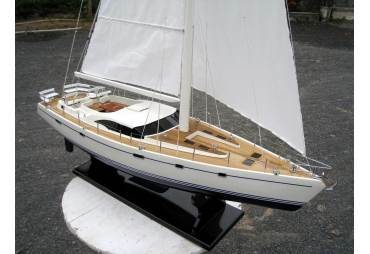 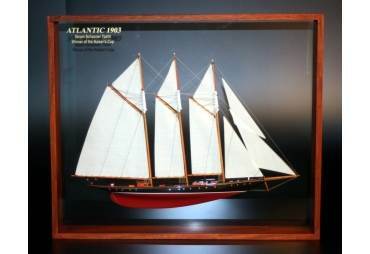 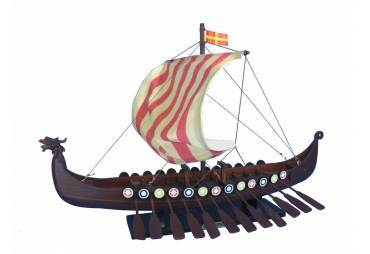 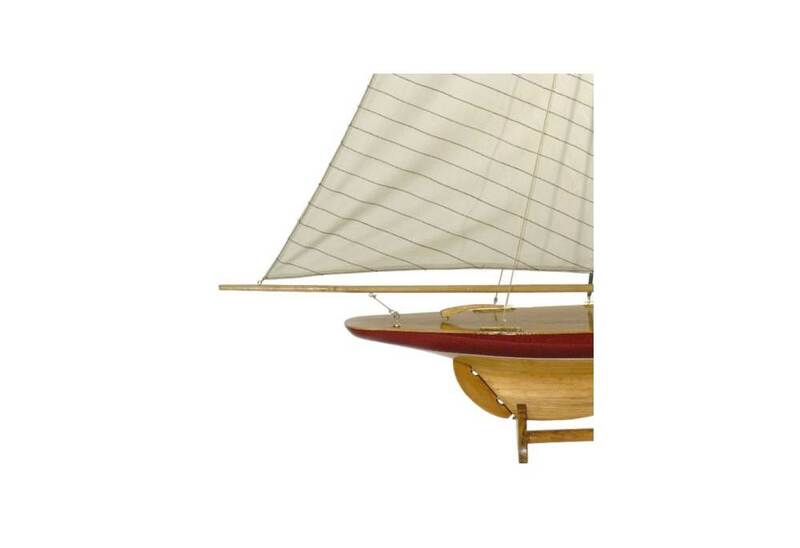 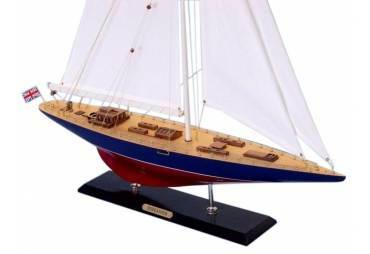 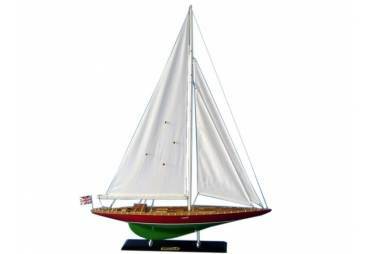 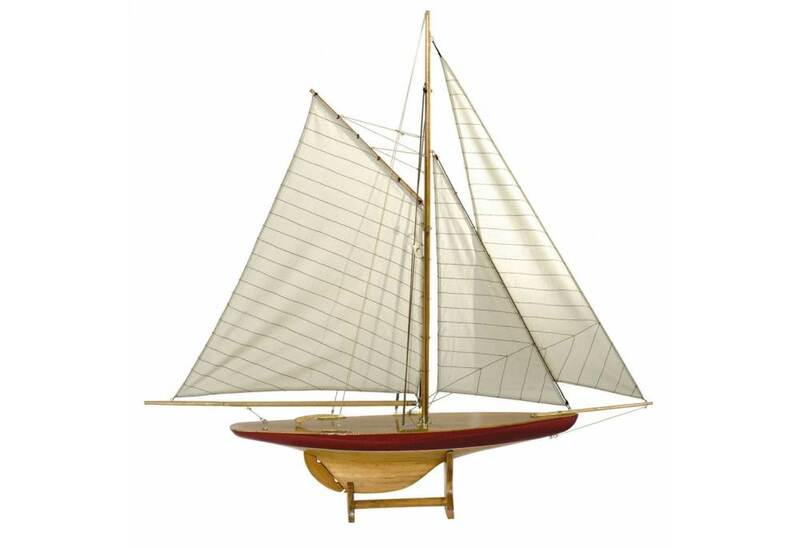 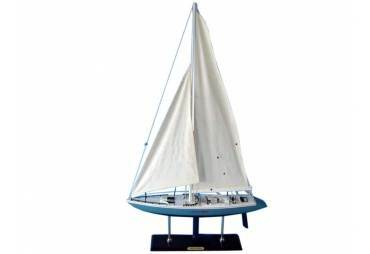 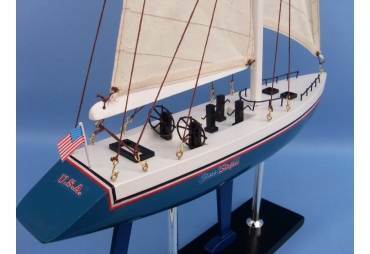 This is classic 1895 Sail Model Defender reproduction, by Authentic Models AS055 model adds a traditional element to any desk, shelf, or table. 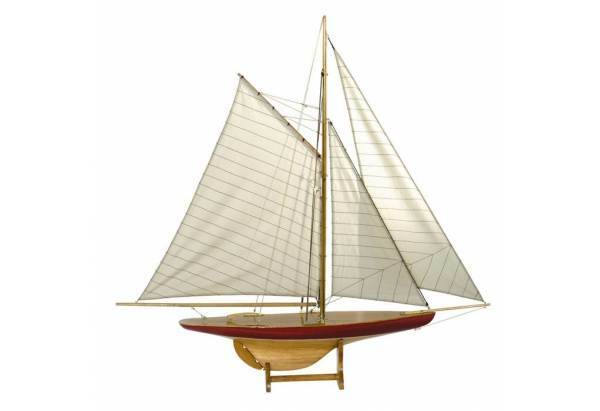 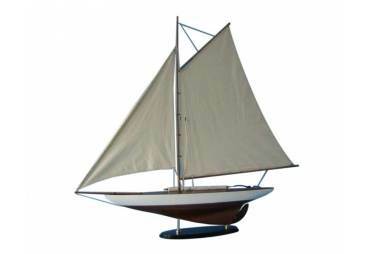 It features hand-stitched cotton sails, brass hardware and finishes in red and brown. 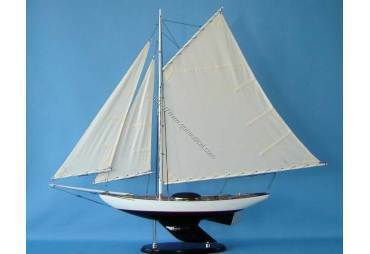 This is excellent model ship and candidate for an intriguing interior decor. 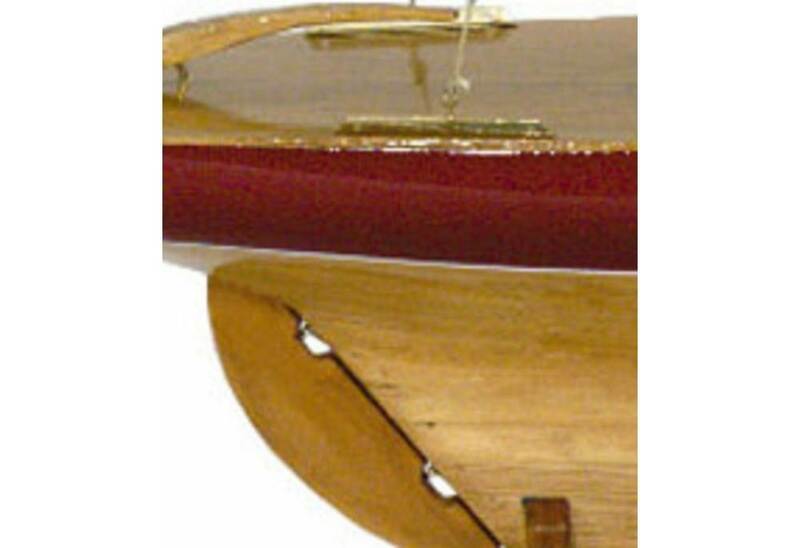 Table stand included. 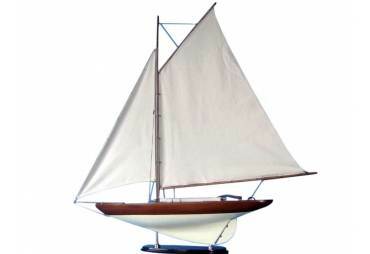 Fully assembled, some easy assembly required, rigging attaches with hooks instructions are included.